4. ARCTIC TERN 14: The Arctic Tern 14 has been called “A godsend for smaller boaters.” Her low wetted surface and low frictional drag give her excellent cruising speed. Her nimble handling, coupled with straight tracking, make her great for light touring and surf and at only 32 lb, she’s extremely easy to cartop. She has been such a popular little kayak her hull has inspired some of our newer designs, including both the Ronan & Selkie. 6. OSPREY DOUBLE and OSPREY TRIPLE: Weighing only 60 lb and 64 lb, the Osprey Double & Osprey Triple are a pleasure to paddle, easy to load, and with a 30″ beam, extremely steady in rough water. Over the years we have sold more triples than doubles due to the versatility of the triple (able to be paddled solo from the center cockpit) and its ability to accommodate families with small children or large dogs. When we have large crews of friends out touring this kayak is almost always with us since its wide beam can carry a Coleman stove and cast iron pan (which makes cooking for a crew vastly easier). 9. PINGUINO 145-4PD: For the last two years the Pinguino 145-4PD has been our second best-selling kayak. With an identical hull design to the Pinguino 145, the difference lies in the deck. 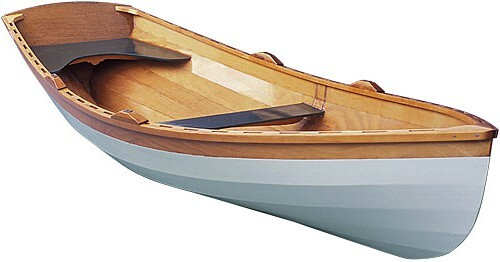 The Pinguino 145-4PD has a smaller, arched cockpit design for a closer paddle stroke and to help facilitate lay-back rolls. She’s a popular option for smaller paddlers who want stability and for folks who want to take the Pinguino into the surf zone. Thank you all for 30 wonderful years!!! Here’s to another 3 decades of building boats!